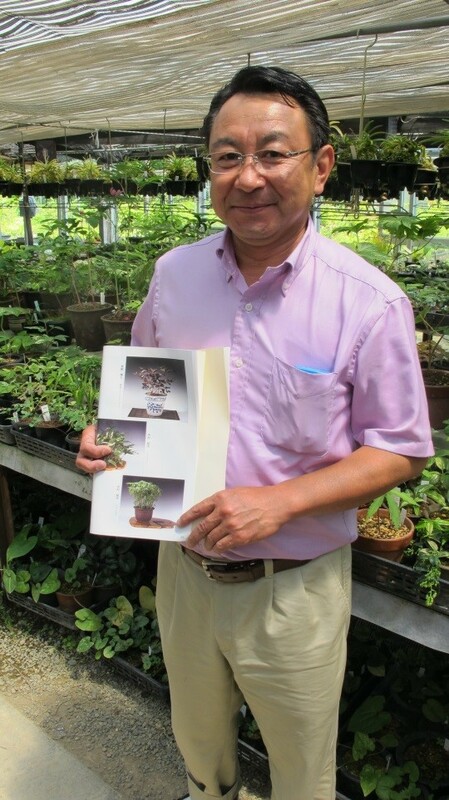 an introduction of the Japanese breeder Mr. Nagasaki Teruhisa. Astilbe is a very important perennial in horticulture. It is probably the 3rd top seller, quantity wise. 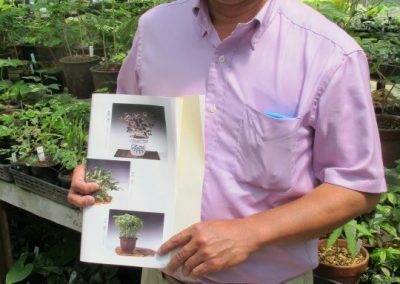 The cultivation value is quite extensive. 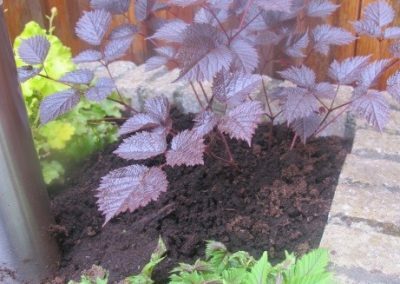 Astilbe can be sold as a liner, on pots, as an important mail-order item, for the production of fresh flowers….and for forcing, which is called an out-of-season product. 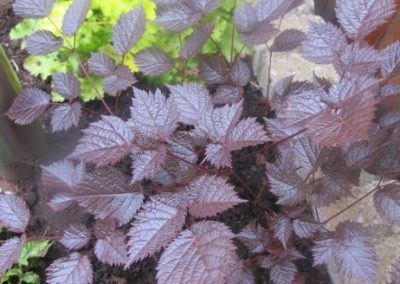 The name Astilbe derives from the Greek word stilbê which means: tarnished appearance. It alludes to the insignificant colour of the green-yellow of Astilbe rivulãris, the very first Astilbe which was named by the botanical plantname Author, Francis Buchanan-Hamilton. Rivulãris means: growing at the brook side. 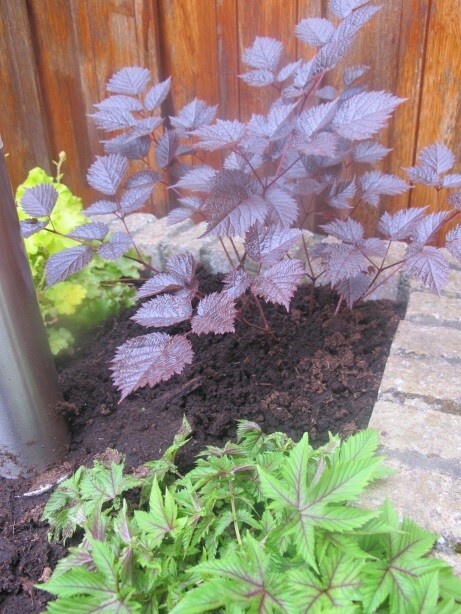 Astilbe loves, moisty fertile soils. Astilbe is an robust, strong, rugged and beautiful genus that throw colourful spikes above divided foliage in Summer. 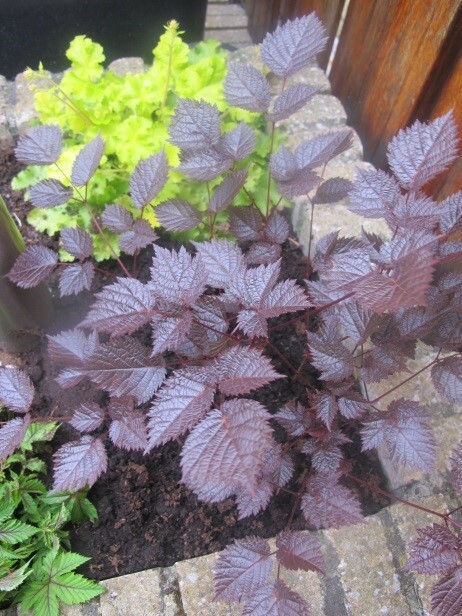 Astilbe hybrid ‘Chocolate Shogun®’, the dark-leaved Astilbe, is a real, foliar breakthrough, a trilling new variety. The rich, chocolate-maroon leaves provide a high contrast background for the blushed pink-white flower spikes. The dark foliage does not fade or tinge green, keeping its chocolatey complexion all season long. The flower plume is composed of hundreds of tiny flowers that open in succession, giving a long season of bloom and interest. Also the addition of ‘shogun’, given to the name, is well chosen. The history says that the title ‘shogun’ in ancient Japan, was granted by the Emperor to the country’s top military commander. During the Heian period(794-1192) the ‘shoguns’ became more powerful than the Court officials, and eventually they took control of the whole government. In 1192, a military leader, Minamoto Yoritomo was appointed a ‘shogun’ by the Emperor. He set up his own Capital in Kamakura, far to the east of the Emperor’s Capital in Kyoto, near present-day Tokyo. For almost 700 years after that, Japan was ruled mainly by a succession of ‘shoguns’, whose titles were usually passed on from father to son. In 1868 the last ‘shogun’, was forced to give up his position and the power returned to the Emperor’s Court. The name ‘Chocolate Shogun’ refers to the strong power of ancient military Japanese dictators. Astilbe is an ‘easy to grow’ and ‘low maintenance’ perennial plant. It is native to China, Japan and North-America and is also known as ‘False Spirea’ and ‘False Goat’s Beard’. 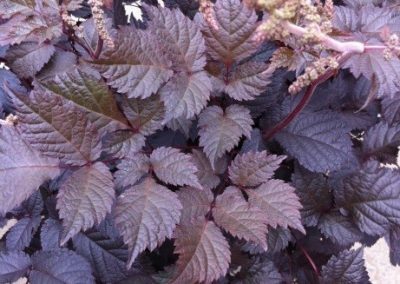 Astilbe is ultra-hardy and will overwinter well. 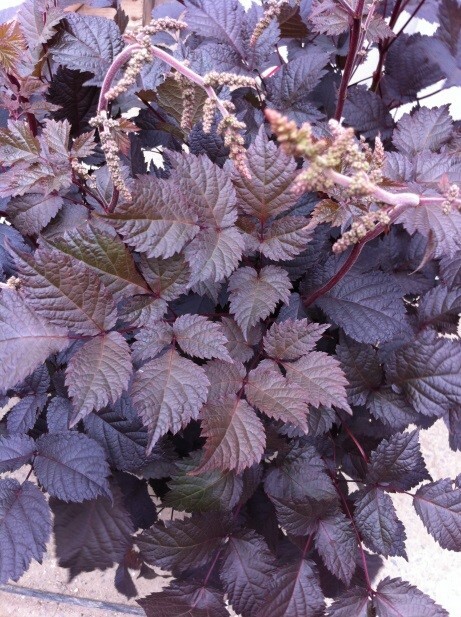 Astilbe provides a nice, textural contrast to plants with large, broad leaves, like Heuchera, Hosta and Ligularia.